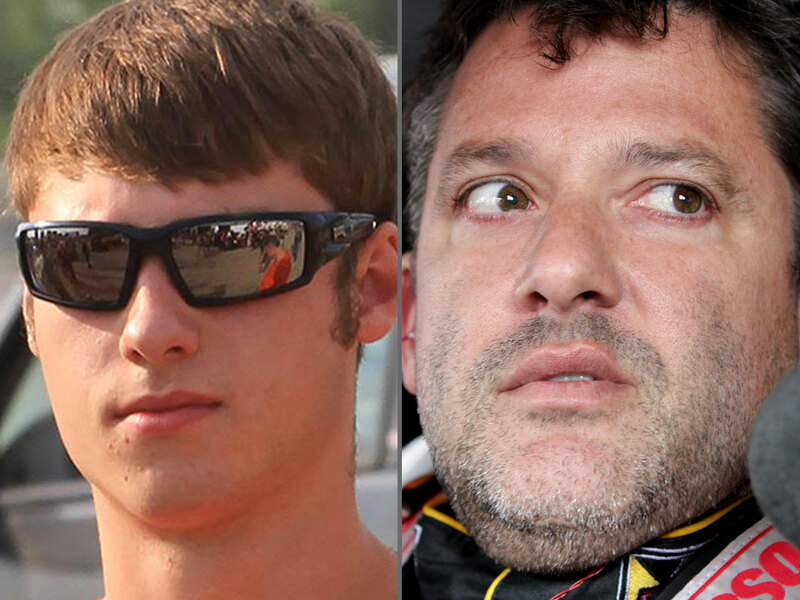 CANANDAIGUA, N.Y. - Three-time NASCAR champion Tony Stewart will not face charges in the on-track death of sprint car driver Kevin Ward Jr.
Ontario County District Attorney Michael Tantillo announced Wednesday that a grand jury decided not to indict Stewart. Ward was killed Aug. 9 when a car driven by Stewart struck and killed him during a dirt track race at Canandaigua Motorsports Park in upstate New York. The 20-year-old Ward, who had climbed from his car to confront Stewart, died of blunt force trauma. Tantillo also said Wednesday that toxicology tests performed on Ward determined that he was under the influence of marijuana at the time of the fatal crash and that the levels of marijuana in his system were high enough to "impair judgment." According to Tantillo, there was no toxicology report run on Stewart, but a "drug recognition expert" interviewed him on the night of the crash and determined he was not on any drugs. After the announcement, Kevin Ward's mother released a statement to CBS News, saying the family "will pursue all remedies in fairness to Kevin." "Our son got out of his car during caution while the race was suspended, all other vehicles were reducing speed and not accelerating, except for Tony Stewart who intentionally tried to intimidate Kevin but accelerating and sliding his car towards him causing this tragedy," Pamela Ward said. The district attorney looked at the evidence and could have brought charges or dropped the case himself, but said last week he was taking the matter to a grand jury that was convened this week. Approximately two dozen witnesses testified in front of the grand jury, including a number of race car drivers, racetrack employees and volunteers, two accident reconstruction experts, medical personnel and a number of police officers. The grand jury also reviewed photographs and video recordings, as well as other evidence, according to the district attorney's office. In New York, only 12 of the 23 grand jury members needed to agree that charges were warranted. The exact vote count in the Stewart case is not being released. Stewart released a statement Wednesday following the announcement that the grand jury declined to indict him, saying, "This has been the toughest and most emotional experience of my life, and it will stay with me forever." It continued: "While much of this attention has been on me, it's important to remember a young man lost his life." Experts said Stewart could have been charged with second-degree manslaughter under New York law if prosecutors believed that he "recklessly caused the death of another person," with negligent homicide another possibility. Authorities said the first car to pass Ward had to swerve to miss hitting him. The front of Stewart's car appeared to clear Ward, but Ward was struck by the right rear tire and hurtled through the air. His father later told a newspaper there was "no reason" for the death given Stewart's skills and experience. Following Ward's death, Stewart skipped three races before returning late in the Sprint Cup's regular season. After Ward's death, NASCAR announced a rule that prohibits drivers from climbing out of a crashed or disabled vehicle - unless it is on fire - until safety personnel arrive. NASCAR released a statement Wednesday saying the organization's thoughts and prayers were with the Ward family and Stewart "as they all cope with this tragic incident" and "there are no winners in tragedy."